We often hear that life is not just about where we are going to end up, that destination so to speak of, but it is also about the journey we take. Along our paths in life we will come across bumps and forks in the road, detours, and bad weather. Our health may be one of those obstacles that stops us in our tracks and makes our journey difficult to travel alone. We might just need a shoulder to lean on or possibly be carried for awhile till we can walk alone. This is the time when home care in dallas may be just what is needed to make your life better. Our surroundings can play a role in our attitude, our happiness, our frame of mind, and our recovery. Home is place that brings comfort, security, peace and independence. Home care in Dallas makes sense. Home health care in Dallas gives us the opportunity to remain in familiar surroundings and at the same time be provided with needed assistance..
Home health care can be provided in different degrees depending on our needs. Regaining our health is based on an individual diagnosis. Each person’s home care in Dallas should be designed to meet their needs. Some people may desire round the clock, 24 hour care while others may just require part time assistance. Personal hygiene assistance from bathing to feeding may be what the doctor has ordered. Companionship can be uplifting and encouraging. Errand running, appointment making, light cleaning, and food preparation can be provided by home care in Dallas. 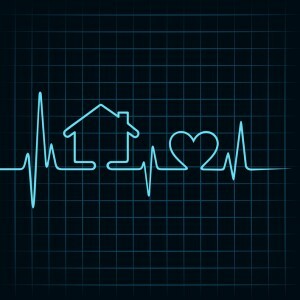 Studies that have been completed over time show that in house care is the preferred type of home care in Dallas.Catering to the needs of the sick, elderly,or those recovering from injury or surgery is at the heart of home care in Dallas. Life and the roads we travel will probably have some downside, aging and illness are inevitable in most lives. The burdens of difficult times do not have to be carried alone. The expert staff and trained personnel, of home care in Dallas, are ready and willing to help take part of the load so individuals and their families can focus on what’s most important, quality of life. There is a certain peace of mind knowing that those you love are being taken care of by good hands. Here at Hour Family Home Care we are anxious to assist and help provide the needed services for you or your loved ones. Each moment spent with less worry makes the roads and paths of life much easier to navigate. Home care in Dallas is here to help.